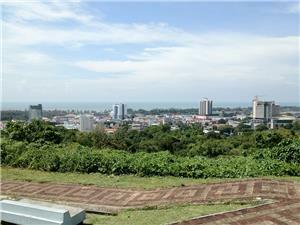 Currently boasting a population of 270,000 and growing, Miri is Sarawek’s second largest city just after Kuching. It is also considered to be one of my Sarawek’s most important industrial centers thanks to its booming oil industry, which was first established more than a century ago. Most world travelers and tourists are interested in Miri for the variety of stunning national parks and wildlife preserves to be found in and around the city. These include Mulu National Park, Niah Caves, and Lambir Hills National Park. It’s important to note that Miri in and of itself has plenty to offer the curious, cultured traveler as well. Spiritually inclined people won’t want to miss a visit to the peaceful, picturesque Tua Pek Kong Temple in the older part of the village. Right next to the temple is a wonderfully quaint local fish and produce market where the best in Malaysian street food can be experienced firsthand. Miri is also notable for its high number of fine seafood restaurants where the local cuisine can be experienced at its best. Nature lovers who can’t imagine not taking advantage of a chance to explore Malaysia’s native waters should also plan a trip to the beautiful natural reef located just offshore. If you’re planning your trip to Miri by way of any of Malaysia’s surrounding bigger cities, then you will definitely want to give some careful consideration to Miri bus travel. 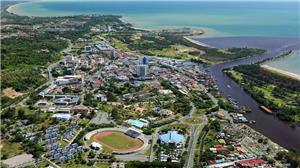 Well connected to plenty of major sites, including the capital of Brunei itself, Miri is easily accessed by roads. Buses in particular are numerous and frequent. Bus travel in Miri also represents a relatively inexpensive way to get around, as well as a convenient one, so it’s an excellent way to save both time and money. Plus it’s eco-conscious to boot! Make bus travel to Miri a part of your vacation plans today. For more information about Bus to Miri, check out details from us today!